A non-partisan research institute that monitors socioeconomic trends and analyzes government policy responses from the perspective of equality and social justice. The Center for Professional Arab Local Governance works to strengthen local Arab leadership in Israel to advance social and economic development for Arab citizens. 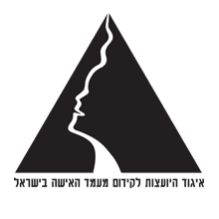 The Association works to promote advisors on the advancement of the status of women in Israel.